For people who take joy in cooking, the kitchen is often the most comforting place in their house. Cooking aficionados like to experiment with cooking styles, try out new recipes, invite guests, and share the warmth of dining in the company of loved ones. A well-planned kitchen can be bliss for those who love to cook. However, if you don’t have the right equipment to take care of different cooking needs, the time spent in the kitchen seems long and tedious. If your current oven doesn’t broil, bake, and roast evenly, it is time to upgrade. Wall ovens are an excellent investment for people who love to cook. Following are few pointers why investing in a wall oven is a good idea. Most wall ovens available in the market can easily fit into the modern kitchen layout. However, pay careful attention to cabinet cut-out dimensions and those of the model you are looking at. Often, there is a slight difference between the mentioned size and the actual usable area. Some people actually take their largest baking tray to the store and see if it fits in perfectly before sealing the deal. That’s not a bad idea at all! Better safe than sorry. Common options for electric wall ovens range from 60cm-wide models and going to up to 90cm. A standard gas oven is also about 61 cm-wide. Double wall ovens take up a lot of space. However, if you regularly cook for parties and events or have to feed a large family, then this is a good buy. You can cook that turkey for Thanksgiving as well as a couple of other side dishes if there is enough usable space and if the model offers a flexible arrangement of shelves to accommodate different-sized cooking plates at one go. For small families, single-unit wall ovens will do just fine. If your current oven doesn’t meet your needs anymore and your eyes are set on a new buy, making few changes in the layout will be worth the ease of cooking that comes with a wall oven. Good wall ovens come with the latest features that allow you the flexibility to cook many dishes at a time and experiment with different cooking methods. With a bigger model, baking larger cuts of meat or seafood and large batch baking is possible. Popular features in good wall ovens are sabbath mode, delay-start and keep-warm modes, fan grill, pizza mode, built-in temperature probe, timer, an audible preheat alert, and self-cleaning function. Hi-end wall ovens feature apps that also sync with your smartphone! Having many features is fantastic, but ask yourself how many of these features you will need to use regularly. If you get confused with too many options and are comfortable with what you know best, forgoing a feature or two on a product to focus on what you really need is a great idea. 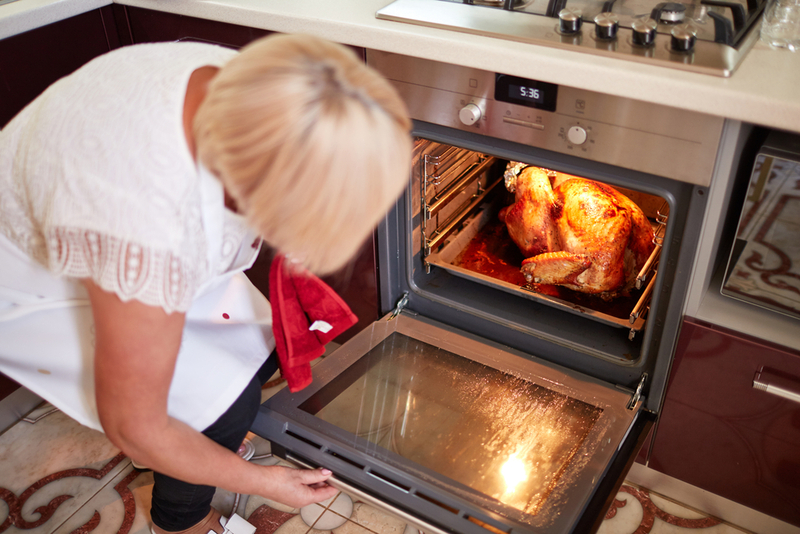 The convection mode is popular because it circulates air in the oven cavity. It allows faster cooking and is especially good in the case of large meat cuts. However, this mode may not be ideal for baked items. If baking is your passion more than anything, you don’t really need to insist on having this feature in your new wall oven. Hi-end wall ovens also have a smokeless or anti-splatter function. It is a perforated cooking plate to stop the fat from splattering inside the machine. The traditional steam-cleaning function in older models has been known to take a long time and leave strange odors afterward in the past. However, with the innovations and design upgrades in the latest wall ovens these days, the cleaning cycle is as less as 30 minutes. A hi-end machine will not produce toxic fumes either. However, the feature only takes care of light cleaning needs and if the oven is regularly used for meats and gravies, the splattering may make this function redundant unless you have invested in an anti-splatter plate as well.